With the city in the midst of a building boom, a look back at the Batterymarch Building. 165 feet — The height of the Batterymarch Building, Boston’s first Art Deco skyscraper, completed in 1928. Only the Custom House Tower was taller. To create the illusion of even greater height, the Batterymarch Building is clad in 30 shades of brick that transition from dark at the bottom to light at the top. About Art Deco — The term, coined in Paris just three years before the Batterymarch opened, describes an aesthetic that blends images of the natural and mechanical worlds. Decorations include a codfish, a bean pot, clipper ships, locomotives, and an airplane. In 1927, the Boston Evening Transcript declared the building “destined to become a landmark.” That’s proved true several times over. 1973 — The area it belongs to, the Custom House District, is added to the National Register of Historic Places. 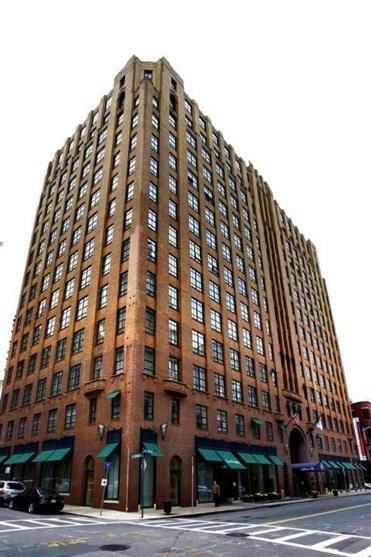 1995 — The Batterymarch Building is made a landmark by the City of Boston. 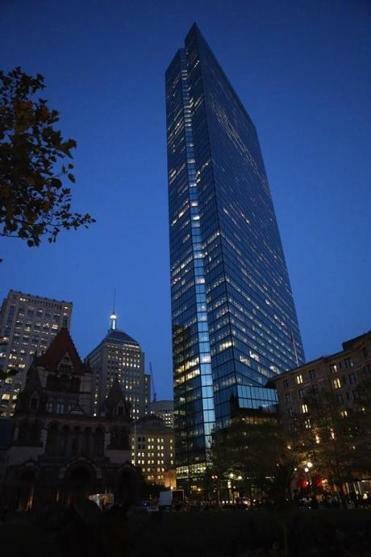 2014 — The Hilton Boston Downtown/Faneuil Hall is added to the prestigious Historic Hotels of America list.